THE SKINNY: This is my summertime go-to shampoo for keeping my blonde locks looking bright and sun-kissed. Several of the John Frieda shampoos irritate my scalp, but this is not one of them. This is a decent shampoo that leaves my hair soft and manageable. As an added benefit, it helps to lighten my hair a tiny amount each time, chasing away dull color and adding natural-looking highlights. The shampoo uses lemon and chamomile to lighten (and I'm sure the heat of my blow-dryer helps a bit). It's ammonia and peroxide-free, so the shampoo is safe for everyday use. 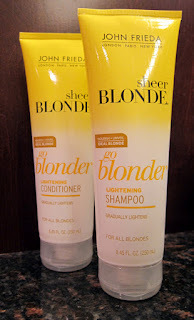 We also liked John Frieda's Go Blonder Controlled Lightening Spray. Truth to tell, I've used all three products at the same time. KEEP OR TOSS: Keep. I use this combination all summer. 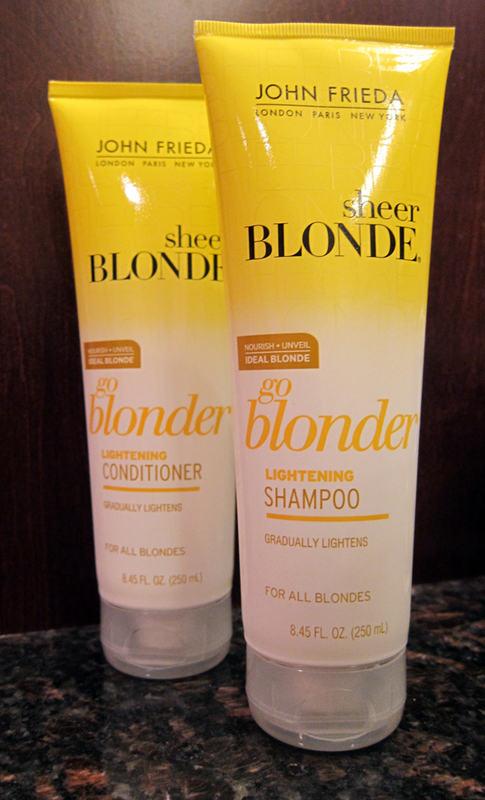 CHECK IT OUT: Go Blonder Lightening Shampoo is for all levels of blonde. The company also makes other shampoos for lighter or darker blondes.